Gator Vacuum & Sewing Co. - Visit our site to get all the information about Gator Vacuum. Click here to learn more about our central vacuum services. Gator Vacuum and Sewing Co. are one of the largest full-service vacuum and sewing machine repair facilities in South Florida. 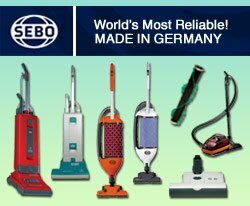 We sell and repair central vacuums, household vacuums, and commercial vacuums for over 5 decades & bring years of knowledge and experience to every repair or installation we do. Gator Vacuum guarantees that every installation and repair will be done right the first time! Don't worry; we take pride in our work. When our installer leaves your home or office it will be left as clean as when we arrived Bottom line... "We complete every Install or Repair just the way we would want it done ourselves!"